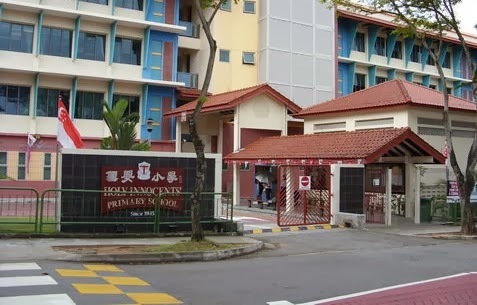 Holy innocents Primary School is located at 5, Lorong Low Koon in Singapore 536451. It is enclosed within the Hougang Region. Hougang is an urban planning area situated at the northeast section of Singapore. It has over 40,000 housing units with some private residential houses. Nearest MRT is Hougang MRT and the closest bus interchange is Hougang Central Bus Interchange. Amenities in the area include Heartland Mall, Hougang Green shopping Mall and Central Place. Some of the schools nearby are Serangoon Junior College, CHIJ Our Lady of Nativity and Montfort Junior School.